As Israel’s top ministers gathered in Tel Aviv to discuss the latest flareup of violence in and around Gaza on Monday morning, which threatened to plunge the area into war, the government was rejecting outreach efforts by international mediators. “We’re not talking with them about a ceasefire,” a senior Israeli official told The Times of Israel, speaking on condition of anonymity. After more than 400 rockets and mortar shells were fired at the south by terrorists in the Gaza Strip in the space of less than 24 hours, Jerusalem has decided not to conduct any dialogue at this point with either Egypt or United Nations envoy Nickolay Mladenov, who were said to be scrambling to defuse the explosive situation. 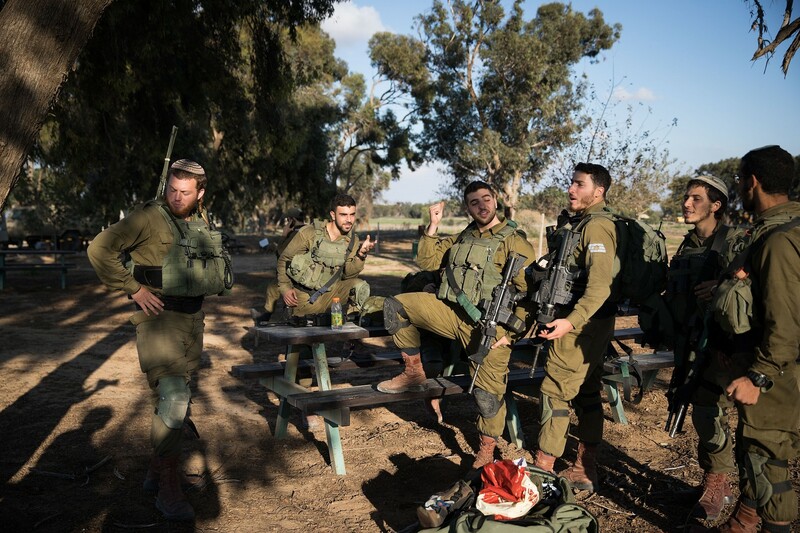 The security cabinet convened in the late morning at the army’s Tel Aviv headquarters to receive updates from the military and to deliberate how to proceed. The discussion was expected to last several hours, and it was unclear whether at the end of it the ministers would vote on the next course of action. Before entering the room, several ministers reportedly indicated that they were in favor of intensifying the military’s response to the rocket fire from Gaza. Prime Minister Benjamin Netanyahu has said repeatedly in recent days that he is interested in avoiding “unnecessary wars,” but also stressed that Israel may not have any alternative to a widespread military operation in Gaza to halt rocket attacks on Israeli civilians. He has not made public statements on the matter since returning from Paris Monday morning. Together with the government in Cairo, Mladenov, the UN envoy, has been involved in efforts to broker a Israel-Hamas ceasefire for several weeks. Rocket alarms rang out across southern Israel as dawn broke Tuesday and into the morning, ending a brief overnight lull, as intense fighting between Israel and Gaza entered its second day. Rocket launches were reported in the coastal city of Ashkelon and towns closer to the Gaza border, including Sderot. 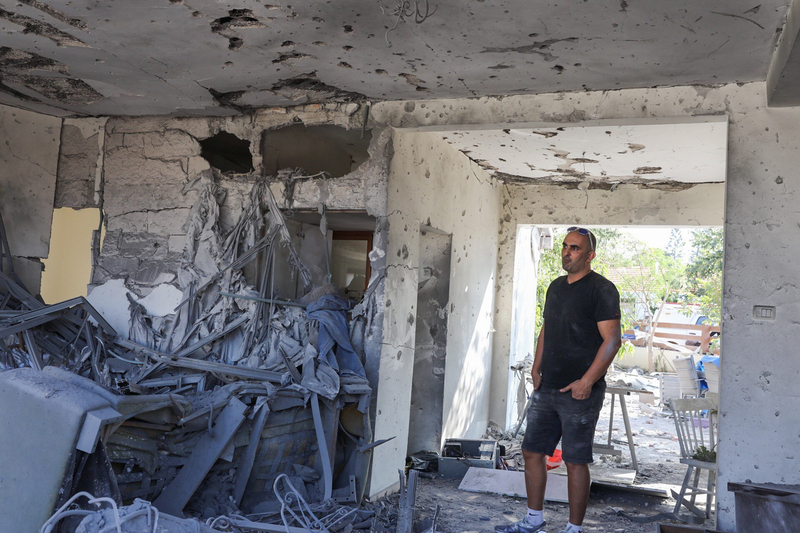 Two houses in the Eshkol region were hit by rockets. There were no immediate reports of injuries. 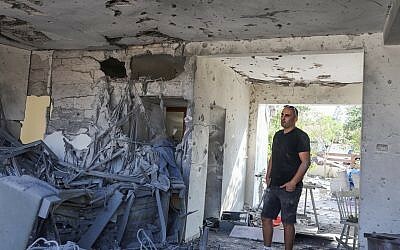 In Ashkelon, which took several barrages late Monday and early Tuesday, one person was killed when an apartment building was hit around midnight. Eight others were wounded in the strike, including two women with life-threatening injuries, according to emergency services. Six Gazans were killed in Israeli retaliatory airstrikes overnight and Tuesday morning. Most of them were claimed as members by terror groups. “Approximately one million Zionists will be within the range of our missiles if the Zionist enemy’s decision is to continue its aggression,” a spokesman said. Israel issued warnings of its own and indicated it would not back down. 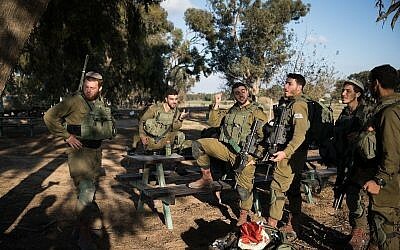 Lt. Col. Jonathan Conricus, a military spokesman, said the army had sent additional infantry troops, rocket defense systems and intelligence units to the Gaza frontier. “We continue to strike and retaliate against the military targets belonging to terrorist organizations in Gaza, and as for our intentions we will enhance these efforts as needed,” he told reporters. 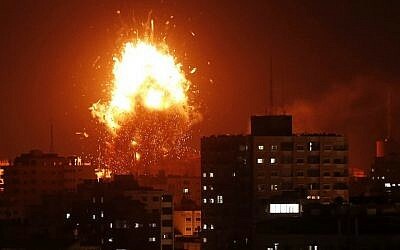 Israeli military launched a series of strikes against dozens of targets inside the Gaza Strip, including multi-story buildings housing a Hamas military intelligence center and the headquarters of al-Aqsa TV. The army also said it targeted three attack tunnels operated by Hamas and the Palestinian Islamic Jihad, the two largest terror groups in the Strip. On Monday evening, large numbers of IDF tanks and other military vehicles were seen being moved down to the Gaza border on the backs of large trucks. Earlier in the day, before the barrages began, the army also ordered extra infantry battalions to the region.